Thinking of going solar? Read this book first. 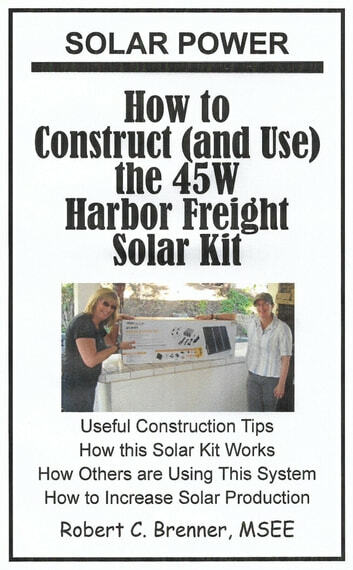 This complete guide to solar power shows you how to construct a 45 watt Harbor Freight solar kit and then use it to produce electrical power for operating a wide range of devices. Explains how each component-- solar panel, charge controller, battery, and inverter—works and how DC and AC are generated. The book also describes over 56 devices you can power with this system. 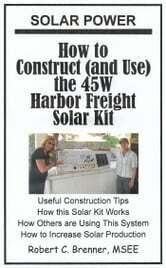 Answers questions you’ve always had regarding solar power. What are typical applications for this solar power generator? Is there a sequence for connecting the components? How can I expand the system to power even more electrical devices and appliances? How can I measure system production?